The firm was established in 1850 at Herstal( Liege) as an arms factory by Joseph Saroléa. In 1892 the production of bicycles was started. Joseph died in 1894 and under the management of his sons the company grew bigger and bigger. 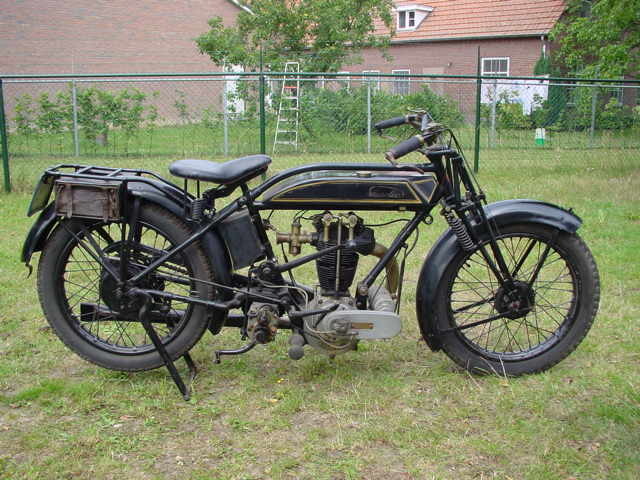 In the 20s the firm got successfully involved with long distance runs, reliability trials and hill climbs. From 1927 on the company made its own gearboxes and early in 1929 the factory was extended to some 6000 m2. Nearly all components of the bikes were made in-house now and the production capacity grew to 50 machines per day. Later in 1929 a brand new state-of the-art production facility was commissioned which brought the production capacity to 75 machines per day. In the early years of the century Saroléas were sold in Britain under the Kerry brand. Both singles and V twins were made and the firm supplied engines to a number of firms in several countries. 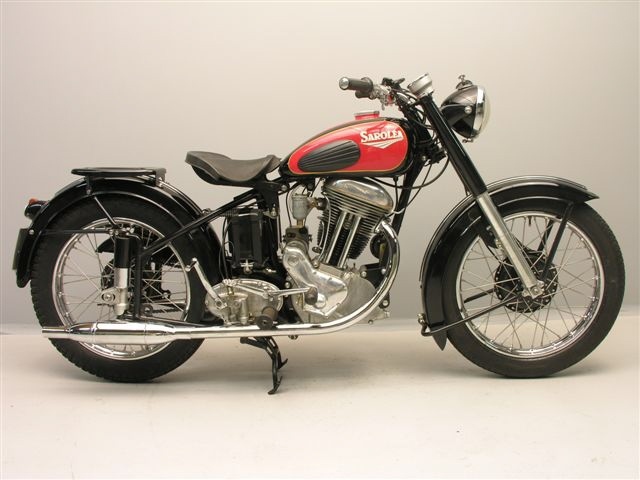 In turn, Saroléa used a number of British components such as Sturmey Archer gearboxes and AMAC carburettors. 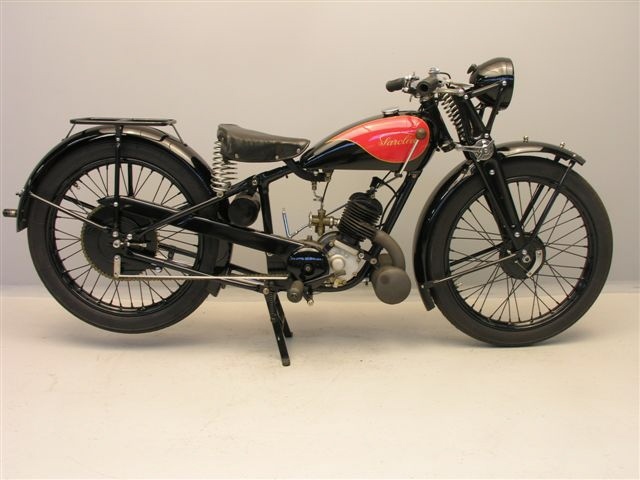 In the 20s the firm got successfully involved with long distance runs, reliability trials and hill climbs. From 1927 on the company made its own gearboxes and early in 1929 the factory was extended to some 6000 m2. Saroléa was ready for the new decade… but the new decade also brought an economic crisis. This forced the company to expand the range of machines with cheaper models. 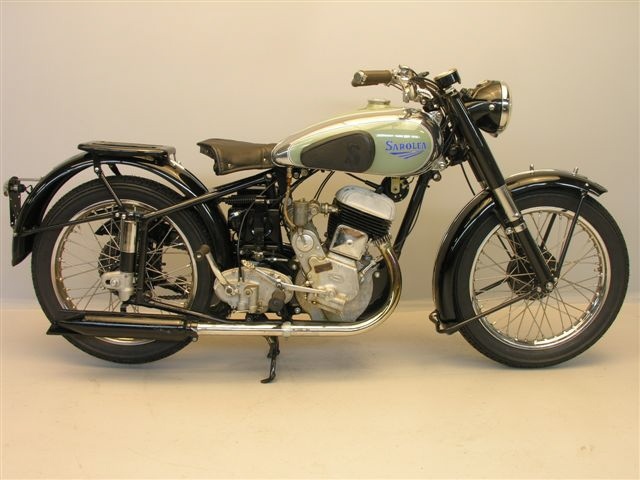 The first of the light two strokes was brought out in 1932. 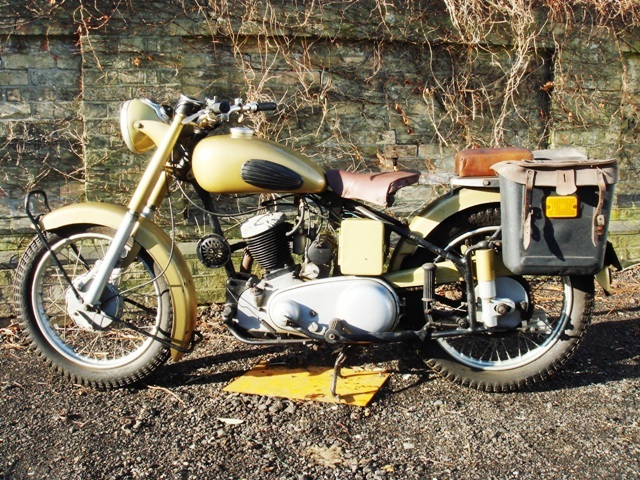 It had a 147 cc unit construction engine of Sarolea's own design. 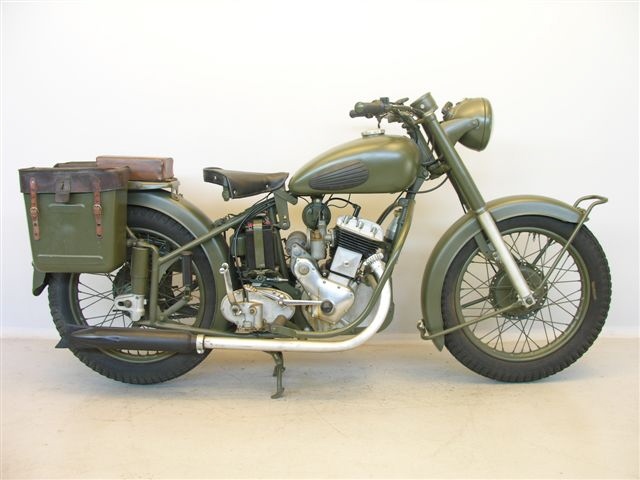 The front forks are of pressed steel construction and the ignition is taken care of by battery and coil. Bosch electrics are employed. 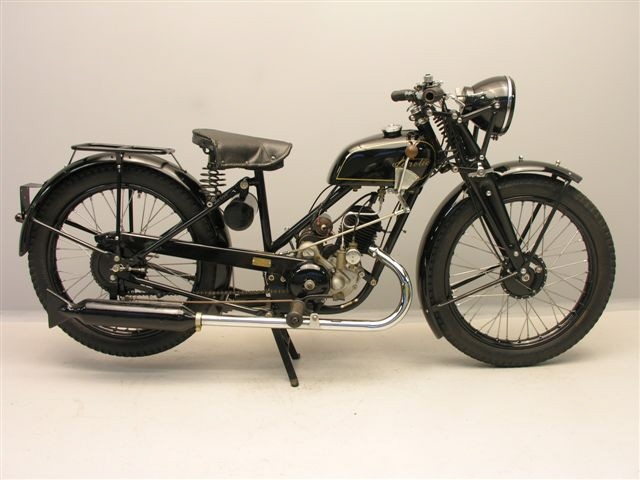 1925 Sarolea OHV Supersport, 500cc This type 23 is equipped with the single port 500cc OHV engine, known for its high power and rehability.